You are here: Home / Organizational Behavior for School Districts / Can Conflict among Teachers and Staff be a Good Thing? How Conflict Can Help Teachers and Administrators Move Their District Forward. Can Conflict among Teachers and Staff be a Good Thing? How Conflict Can Help Teachers and Administrators Move Their District Forward. It’s safe to assume most school districts have already, or are currently attempting to create a culture of learning and development in efforts to keep pace with the dynamic demands of preparing students for learning in the 21st century. 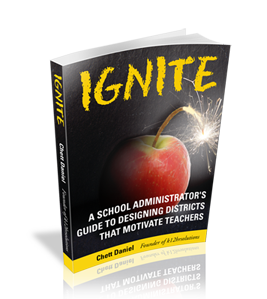 Constant and evolving change can be a source of conflict and is often difficult on teachers and school district employees who feel comfortable with the status quo. Unfortunately, nature has not been kind to organisms that fail to adapt. Evolution is a system that turns random mutations in to lasting advantages. Nature tells us the ability to adapt and evolve is what separates living organisms from extinct organisms. In the same way, the ability of school districts to adapt and evolve to meet modern learning demands and deal with conflict that is an avoidable part of change will determine the long term viability of public education. If a district is attempting to create a culture of learning and development, they must also learn to manage conflict. The question for a progressive and learning school district then is not if your school district will face conflict, but how will you deal with it? Learning and development is essential to growth in any organization, especially school districts. Research by Mannix, Behfar, and Peterson, (2008) highlight the positive aspects that conflict can provide when managed correctly. Organizational conflict occurs when staff members engage in activities that are incompatible with those of colleagues they must directly or indirectly interact with to complete work activities. Conflict is evidenced by incompatibility or disagreement between individuals or groups in the organization. The main focus of conflict management strategies should be to enhance organizational learning. Continued Training and development of school district staff is essential because communities of today and tomorrow expect their schools to provide relevant instruction to prepare students for the realities and skills they will need to be productive successful citizens. Not all conflict is the same and not all conflict is beneficial to improving the effectiveness of school districts. Interpersonal conflict has negative effects on schools. This type of conflict takes the form of personal attacks on matters not related to job tasks or work objectives (though interpersonal conflict can manifest itself from task related, or substantive conflict if staff members are not properly trained to manage conflict). 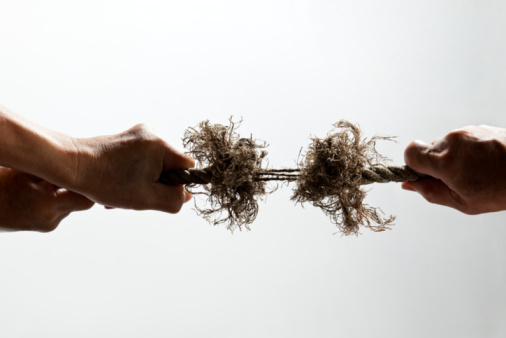 Interpersonal conflict obstructs task improvement and development. If interpersonal conflict is left unchecked, teachers and staff may spend portions of their day reducing threats, increasing power, and building cohesion, when they should be focused on providing instruction to students. Other types of conflict can actually be helpful in school districts. Substantive conflict has been found to have positive effects on individuals and groups (Rahim, 2002). This type of conflict typically relates to disagreements related work tasks, methodologies, and broader objectives. When employees are trained to manage substantive conflict, performance improves because it fosters discussion and debate. Ideas or action items are pressed and refined through healthy conflict and debate which is more likely to lead to decisions that have been evaluated thoroughly from many different viewpoints. It is important to note that substantive conflict has only been found to be useful in non-routine tasks and is not immune to the same negative effects of interpersonal conflict. If the school district staff has not been trained on how to manage and work through substantive conflict they are more likely deal with the negative effects of all forms of conflict (e.g. decreasing levels of: group loyalty, work group commitment, intent to stay, and job satisfaction). It is also worth repeating that all school districts who are attempting to be a progressive learning organization will, at many different cross-roads, experience substantive conflict. Substantive conflict has a “Goldilocks Zone.” School districts that take steps to avoid conflict or have very little substantive conflict are more likely to have an apathetic environment where development is stagnate. However, organizations where substantive conflict is unbridled, and staff members are inept in their conflict management skills, leaders should expect negative and potentially detrimental consequences. Through practice and being conscience of productive conflict schools can find that blend of conflict that is “just right” and moves them forward towards accomplishing goals that increase student and staff learning. Conflict often is the result of staff members with poor self-perceptions or ideals that are not aligned with their supervisor’s judgment or vision. Often teachers and staff members feel past and current methods of instruction are the most effective. When a supervisor or change agent suggests an alternative method, school district staff members may feel threatened or embarrassed. School districts can avoid conflict by choosing not to discuss task performance and methodologies that could be viewed as ineffective by most everyone except the staff member performing the task. Effective schools though, will deal with issue and use strategies to manage the inherent conflict that results in any change process. Generational differences may also be a source of conflict. Generation Y workers are making their way into classrooms, but as teachers. Generation Y members are more likely to question and challenge the status quo. As a result, they often bring the conflict to their supervisors even though they are often ill equipped to productively work through conflict with their superior. Conflict, as mentioned before, can be a good thing if all parties know how to work towards productive solutions. Without training though, tensions are likely to increase as new staff members challenge old paradigms. School districts can build cultures that support moderate and productive conflict where staff members are equipped with strategies to work through conflict towards positive outcomes. The purpose of this post was to dispel a common myth that any conflict within an organization is bad. Research has shown this is simply not true. Organizations that currently have, or are developing a learning culture are bringing conflict to their front door because substantive conflict is a natural part of learning, developing, and growing. This topic is too extensive to fit into one post. I have attempted to discuss the positive and negative aspects of conflict and common sources of origin. I’ll have a follow up post in the near future that will detail some general ways to actually train school district teachers and staff members on how to manage conflict to make their schools more effective. Behfar, K.J., Peterson, R.S., Mannix, E.A., & Trochim, M.K. (2008). The critical role of conflict resolution in teams: a close look at the links between conflict type, conflict management strategies, and team outcomes. Journal of Applied Psychology, 93 (1), 170-188. Rahim, A.M., (2002). Toward a theory of managing organizational conflict. International Journal of Managing Organizational Conflict, 13 (3), 206-230. The conflict that I see most often stems from an “Us against Them” (usually teacher vs Admin) mentality that is rooted and defended deeply. It usually seems that a collective mindset shift is necessary in order to make real changes, and in my experience, this occurs most often when actual personnel shift occurs. What are your thoughts regarding the solutions to this “Us against Them” issue?